Boston audiences are in for a tasty treat this summer when Boston Midsummer Opera presents a unique two-course evening featuring Leonard Bernstein’s bittersweet classic "Trouble in Tahiti" along with Lee Hoiby’s delicious "Bon Appétit!" starring Tony Award winner Judy Kaye as Julia Child. Performances at the Tsai Performance Center at Boston University will take place July 28, 30 and August 1. The fully staged and costumed productions will be sung in English with the orchestra conducted by the nationally acclaimed Susan Davenny Wyner. "Trouble in Tahiti," a tale of suburban love in distress, depicts the longing lurking beneath the surface of a perfect 1950’s American marriage. Directed by Scott Edmiston, this one-act piece, originally conducted by Bernstein himself, was the composer's first foray into opera musical theater when it premiered in 1952. Bernstein attacks the subject matter of the malaise hiding behind the picture-perfect family lives of post-war suburbia by focusing on one day in the life of married couple, Sam and Dinah, to be played by baritone Stephen Salters and mezzo-soprano Sandra Piques Eddy. The production also features a trio of solo singers (Megan Roth, mezzo soprano; Brian R. Robinson, tenor; David Lara, baritone) that Bernstein refers to as "a sort of Greek chorus born of pop radio commercials." With "Trouble and Tahiti" Bernstein sought to break new ground by creating “a truly American opera,” writing his own libretto and deliberately avoided anything overtly operatic. All of the music and words derive from American vernacular and popular roots. He began "Trouble and Tahiti" while on his honeymoon with his new bride, actress Felicia Monealegre, in Mexico -- calling it “a really nice surprise from the Gods” and telling his manager to cancel all his gigs because his creative juices were flowing. Even so, he barely finished the piece in time for its first performance at Brandeis. It is thought that Sam and Dinah may have been inspired by the difficult marriage of Bernstein's own mother and father. The evening will conclude with a taste of "Bon Appétit!," Lee Hoiby's musicalization of a classic Julia Child television broadcast, directed by David Green. In this “episode,” the master chef, played by veteran Broadway star Judy Kaye, demonstrates the makings of a classic French chocolate cake in her inimitable style. Hoiby's lively score illuminates Child's words and witticisms as this musical culinary adventure unfolds before the audience's eyes. Baritone Stephen Salters has won acclaim throughout Europe, the UK, Asia, and the United States. He performs regularly with leading conductors including Christoph Eschenbach, James Conlon, Seiji Ozawa, Keith Lockhart, Will Crutchfield, Leonard Slatkin, Hugh Woldd, Bobby McFerrin and others. Boston audiences saw Mr. Salters perform recently with Opera Boston in the role of Toussaint in "Toussaint Before The Saints." 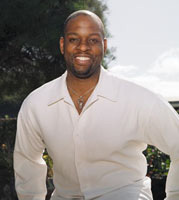 A celebrated recitalist, Mr. Salters is a much sought-after interpreter and advocate of “new music.” He has won several prestigious awards, including a George London Foundation Award and Walter N. Naumburg Prize. Mezzo-soprano Sandra Piques Eddy is gaining recognition as one of America’s rising young singing actresses. Her recent portrayals of Mercedes in the Metropolitan Opera’s new production of "Carmen" and as Idamante in the Boston Lyric Opera production of "Idomeneo" received glowing reviews. Ms. Eddy has also performed leading roles with the New York City Opera, Glimmerglass Opera, Los Angeles Opera, Pittsburgh Opera, the Spoleto Festival, and many other companies nationally. She was the 2000 New England Regional First Place Winner and National Semi-Finalist of the Metropolitan Opera National Council Auditions. 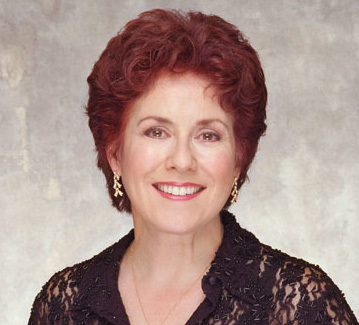 Tony Award-winning Judy Kaye is currently playing a lead role in Harold Prince’s newest show "Paradise Found" in London. Earlier this year she was seen in an acclaimed production of "Lost in Yonkers" at the Old Globe in San Diego. In a career that has bridged the worlds of opera and musical theater, Judy Kaye has performed at Carnegie Hall, with New York City Opera and starred on Broadway in "Souvenir, A Fantasia On The Life Of Florence Foster Jenkins," for which she received a Tony Award nomination. She also starred as Mrs. Lovett on Broadway and in the National Tour of "Sweeney Todd" (which included a stop at Boston's Colonial Theatre). Other highlights of her career include Broadway productions of "Phantom of the Opera" (Tony and Drama Desk nomination), "Mamma Mia" (Tony and Drama Desk nominations), "On the Twentieth Century" (Theatre World Award, Drama Desk nomination), "Ragtime" (Theatre LA Ovation Award), "Musetta in La Bohème," "Eurydice in Orpheus in the Underworld," and Lucy Lockett in "The Beggars Opera," all at the Santa Fe Opera. Audiences are invited to participate in both a pre-show talk one hour before curtain time, plus a Q & A session with the cast following each performance. The Tsai Performance Center at Boston University is located at 685 Commonwealth Avenue. For tickets and information, call 617-227-0442 or visit www.bostonmidsummeropera.org.